1. Camilla Cabello took a break from making bops to shasay down the Billboard Music Awards red carpet in this fun little number. If you want to have extra incentive to twirl around, these fringe pants will do the trick. Pick up a black halter top to complete the look. Get the pants from Asos for $94 (available in sizes 2-10), and the top for $19 (available in sizes 2-14). 2. Janet Jackson rocked this fun ballerina-esque look to the Billboard Music Awards this year. 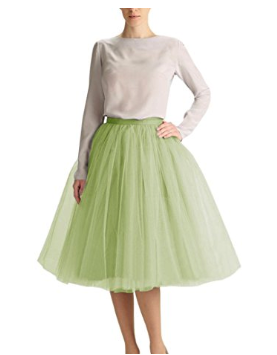 Pair a white t-shirt with a green tulle skirt and you're ready to win prom. 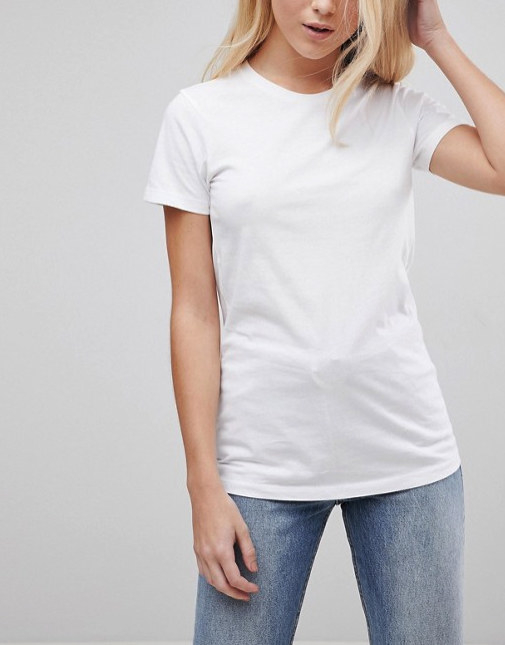 You can get the t-shirt from Asos for $9.50 (available in sizes 0-14), and the skirt from Amazon starting at $19.90 (available in sizes S-XXL). 3. Chrissy Metz also slayed the Billboard Music Awards with this elegant one-shoulder LBD. Though this is not 100% identical, the lace detail will make you look classy AF. Get the dress from Forever 21 for $45 (available in sizes 1X-3X). 4. At this year's Met Gala, Zendaya casually reminded us that at just 21-years-old, she is the style icon we desperately needed. If you're going for a Joan of Arc-inspired look, but without the armor, this silver dress will help you get there. You can get it from Amazon starting at $69.99 (available in sizes 2-20+). 5. When Kim isn't doing something ~kontroversial,~ she's usually killing the red carpet game. She wore this Versace dress to the Met Gala that made her look like a trophy, in the best way possible, of course. You might not be able to get your hands on a Versace gown, but you can find an amazing alternative on Amazon. This gold sequin dress will make you look like the metallic mermaid you always dreamed of becoming. Get it from Amazon starting at $49.99 (available in sizes 0-20+). 6. If you love Beyoncé, but Solange is more you're style, we've got you! Her Met Gala look truly belongs in a museum. If you're going for a similar vibe, this vinyl strapless dress should do the trick. Get it from Dolls Kill for $40 (available in sizes S-L). 7. Selena Gomez decided to go the angelic route for the Met Gala, wearing this delicate gown. If you're looking for something similar, this dress with a tiered skirt will make you look like a lil' fashion angel. Get it from Fashion Nova for $59.99 (available in sizes S-L). 8. If want to stay away from bright colors, you should pin this Janelle Monáe gown for inspo. This black and white number will turn heads and make you stand out in a colorful crowd. Get it from Amazon for $79 (available in sizes 2-10). 9. Cardi B blessed us with her Met Gala ~heavenly outfit~ and we're still not over it. This gorgeous long-sleeve floral dress will make you look like an ethereal goddess Cardi B would approve of. You can get it from Amazon for $117.89+ (available in sizes 2-26+). 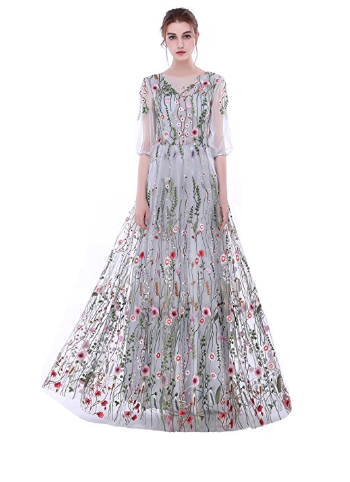 If you love the style, but are looking for something more affordable, don't fret, this embroidered gown is just as gorgeous and won't reach double digits. You can get this dress from Amazon for $62.99 (available in sizes 2-26+). 10. Watching Ashley Graham walk down the Met Gala red carpet would make any skeptic a believer. If, like Ashley, you want to look like a copper-dipped angel, this mermaid sequin gown will do the trick. You can get it from Amazon for $69.99+ (available in sizes 2-26+). 11. 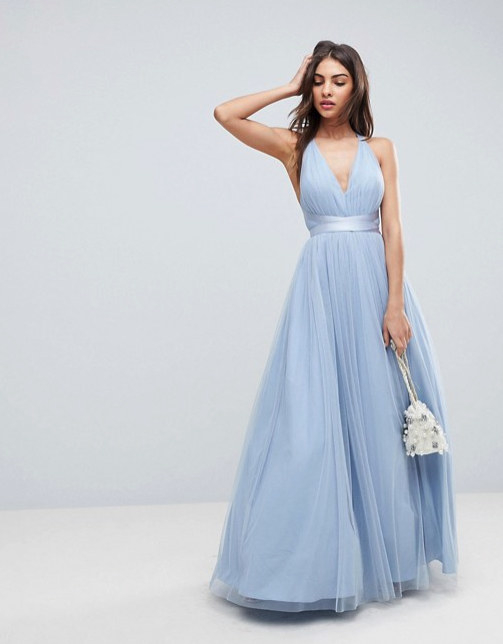 If you're looking for something with a slit, and are willing to sacrifice the color, this strapless gown with a cinched waist will be your best friend. You can get from Amazon for $55.99+ (available in sizes 2-26+). 12. So after this year's Oscars we decided Viola Davis invited the color pink, right? If you're looking for something sparkly in Barbie pink, you can find this beaded backless dress on Amazon. You can get it from Amazon for $129.98 (available in sizes 2-18+). If you prefer something short and fun, you can rent this dazzling mini for any special occasion. You can rent it from Rent The Runway starting at $30 (available in sizes 2-12). 13. Even though Saoirse Ronan didn't take home an Oscar, she showed up to the red carpet looking like a winner. If you're still thinking of that dreamy bow, you should consider taking this tulle midi to prom. You can get it from Asos for $60.50 (available in sizes 0-14). 14. Lupita Nyong'o always slays, but her 2014 Oscars gown is something I still think about today. 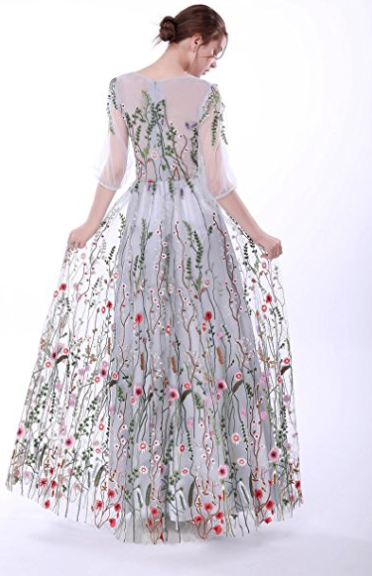 If you want to leave a lasting impression, this tulle maxi will definitely help you get there. Get it from Asos for $103 (available in sizes 0-14). 15. Every time I think of a slit, I immediately think of Angelina Jolie's iconic 2012 Oscars dress. If you're looking for a little black number with a high slit, this off-the-shoulder dress is perfect for you. You can get it from Amazon for $22.99 (available in sizes S-L). 16. 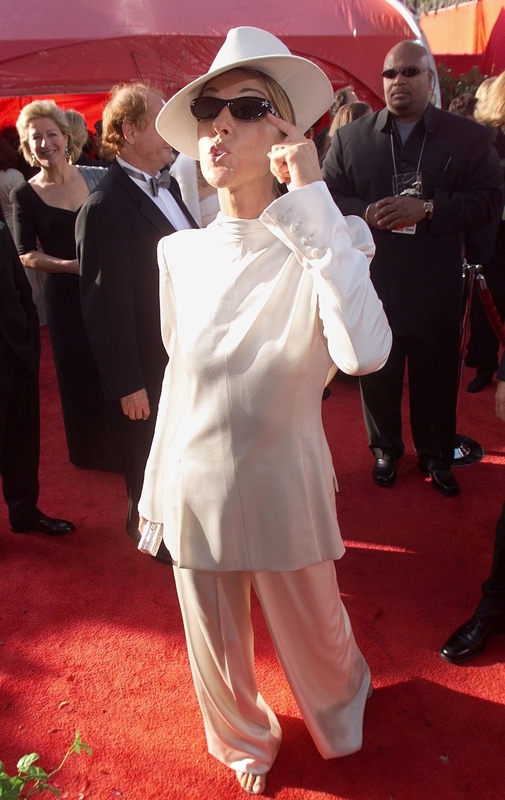 Celine Dion wore a backwards tuxedo in 1999 and people are still shook. If like Celine, you'd like shake things up, you can try wearing this belted white suit backwards. You can get the blazer for $129 (available in sizes XS-XXL) and the pants for $69 (available in sizes XS-XL) from Zara. There's also a metallic suit option if you're looking for something funkier. You can get it the blazer for $99.90 (available in sizes XS-L) and the pants for $49.90 (available in sizes XS-L) from Zara. 17. Penelope Cruz had A MOMENT when she showed up to the Oscars wearing this Versace gown in 2007. If you want a short, perhaps more modern version of Penelope's dress, this Fashion Nova little number is the perfect choice. 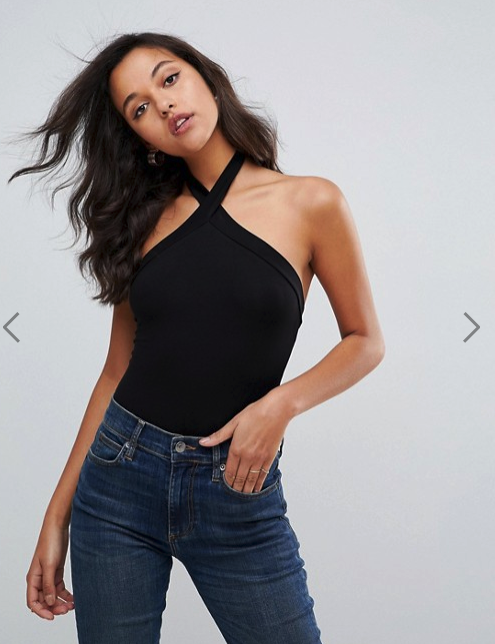 You can get it from Fashion Nova for $59.99 (available in sizes XS-3X). 18. Hillary Swank won an Oscar in 2005 wearing this glorious Guy Laroche backless dress. 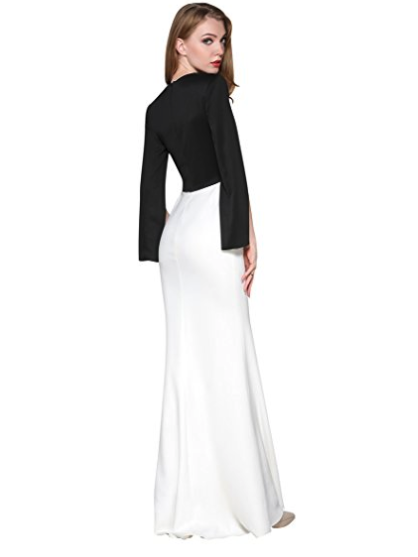 If you're looking for a dramatic back, this TOB long sleeve gown will definitely do the trick. Get it from Amazon starting at $14.99 (available in sizes S-XL). And if you want a little something extra, here's another option with a criss-cross back. Get it from Amazon for $27.12 (available in sizes S-XL). 19. Kendall Jenner twirled down the Cannes Film Festival red carpet in this two-piece gown in 2015. If like Kendall, you want to twirl around all night, you'll be able to do just that in this stylish two-piece. You can get it from Amazon for $62 (available in sizes 2-22+). 20. Are you living and breathing? Then you probably know everything Beyoncé does is amazing, including her wardrobe when she's running around smashing things with a bat. 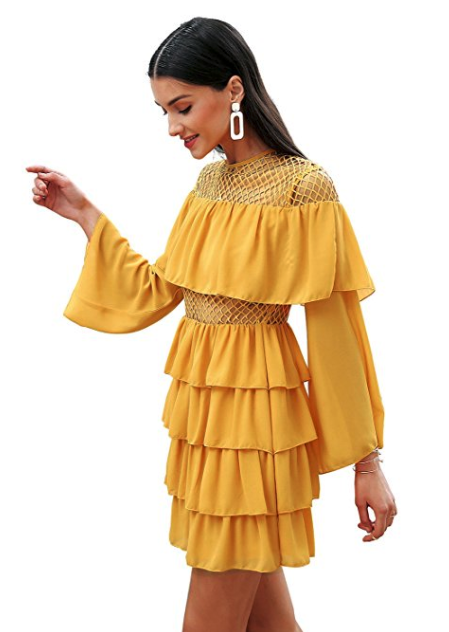 If you're channeling your inner Sasha Fierce, you can start by ordering this flowy tiered dress. You can get it from Amazon for $29.99 (available in sizes S-L). 21. If you don't want to wear a dress, this red suit Gigi Hadid wore to the MuchMusic Video Awards in 2016 can serve as inspo. Going for an oversized, classy, and comfortable lewk? Then this suit should be in your shopping cart. You can get the pants for $49.90 (available in sizes XS-XL) and the blazer for $99.90 (available in sizes XS-XL). But if you prefer a more tailored look, this red tuxedo is what you're looking for. You can get the tuxedo jacket for $99.90 (available in sizes XS-XL) and the pants for $49.90 (available in sizes XS-XL) from Zara. 22. Serena Williams can do no wrong, and she reminded us of it when she showed up to the royal wedding looking better than actual royalty. 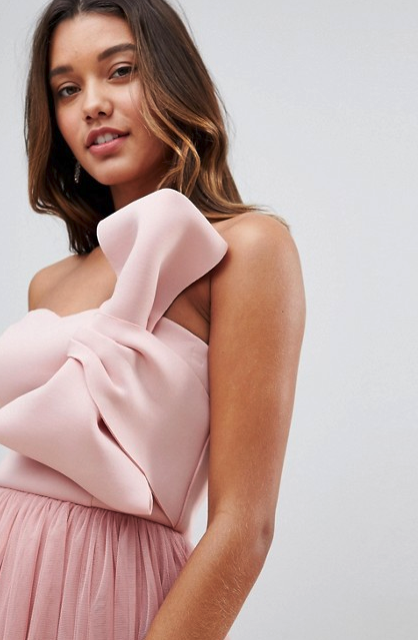 If her pink dress is a look you'd see yourself wearing to non-royal events, this off-the-shoulder dress is for you. You can get it from Asos for $47 (available in sizes 0-24). 23. If you want to look effortlessly chic, Meghan Markle's Stella McCartney dress should be top of mind. This flowy chiffon halter will make you prom royalty by default. 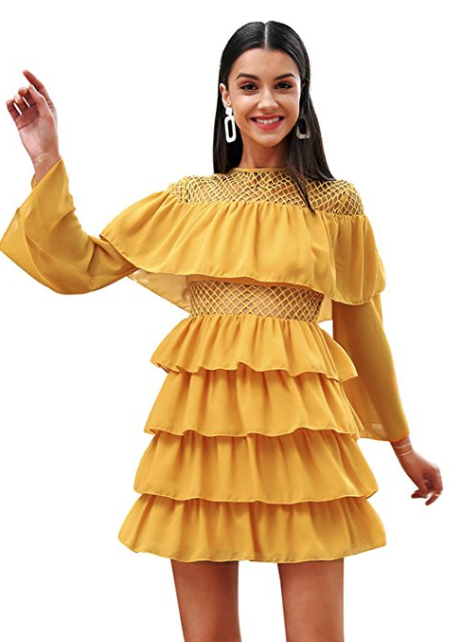 You can get this dress from Amazon for $99.99 (available in sizes 2-28+). But if you want a more versatile option, this multi-way wrap dress can also accomplish Meghan's look. You can get it from Amazon for $24.99+ (available in sizes S-XL). 24. Dressing like Rihanna is not an easy task, but this high-low gown she wore to the Diamond Ball in 2017 is worth the effort. If you have champagne taste on a beer budget, you can get a sleeveless version of it on Amazon. You can get it from Amazon for $78+ (available in sizes 2-26). Now get ready to slay!